SAP generated $5.43 billion (about £3.36 billion, AU$6.17 billion) in revenue during the third quarter of 2014, a 5% increase compared with the same quarter last year. The German-based software company also increase operating profits 11% to $1.48 billion (about £920 million, AU$1.68 billion). Operating expenses increased slightly to $3.95 billion (about £2.45 billion, AU$4.5 billion), but the company is now positioning itself as “the fastest growing enterprise cloud company” in an earnings statement, after increasing cloud subscriptions and support revenue 41% to $355 million during the quarter (about £219 million, AU$404 million). SAP HANA, the company’s cloud-based analytics engine, has more than 4,100 customers and 41 million users worldwide, the company said. Software and support revenue increased 7% to $4.59 billion (about £2.84 billion, AU$5.22 billion). However, software licenses alone decreased 2% to $1.21 billion (about £740 million, AU$1.37 billion). In June, SAP created a division focused on industry-specific cloud tools. The goal of the division will be to develop prescriptive, industry-based cloud road maps, SAP said. SAP intends to deliver industry-specific solutions across 25 verticals. A few weeks earlier, SAP launched a set of solutions designed to enable organizations to more quickly adopt cloud computing. The “SAP Rapid Deployment” solutions were built to help streamline the implementation experience with accelerated time to value at reduced costs. 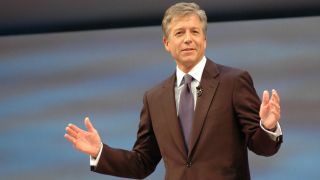 Both moves followed SAP’s announced plan to lay off approximately 2,500 workers in software programming units in order to add more cloud computing positions. SAP currently employs 67,000 workers across the world.